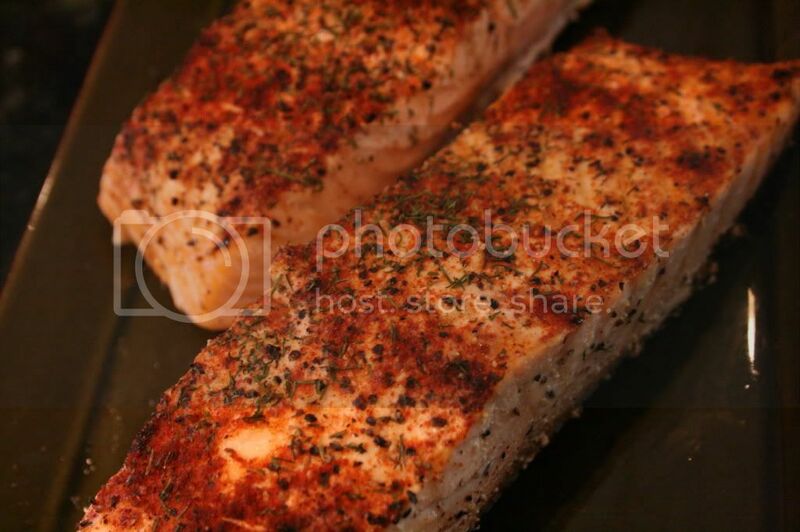 Spiced Salmon - Kosher In The Kitch! Spiced Salmon - Kosher In The Kitch! This is a tasty and easy way to prepare Salmon. It is best served with couscous and steamed asparagus. I like to use toasted pine nuts near east couscous. It takes less than 5 minutes to prepare and has a great crunch to it. Place salmon in the pan. Sprinkle on fresh lemon. Then season with the salt, pepper & paprika. Bake on 400 for 20-25 min uncovered. Simple Cheesecake RecipeThis is why MY mama rocks!